The M31285 is a low power, multi-rate, highly integrated digital video reclocker with fully featured dual cable drivers. The M31285 is SMPTE SDI and DVB-ASI video compliant and it can also be used in digital audio applications. The reclocker provides high input jitter tolerance and input equalization for up to 60" of FR4 trace and a built-in automatic rate detection circuit locks to 270 Mbps, 1.4835/1.485 Gbps, and 2.967/2.97 Gbps rates. The reclocker operates without the need for a reference clock, it has an integrated loop filter and supports the MADI audio standard. Integrated into the M31285 is a fully featured cable driver with four outputs, two positive and two negative polarity. Swing levels from 400 mVpp to 800 mVpp can be programmed through an internal register. The reclocker rate detection circuitry can control the SD/HD edge of the cable driver. Integration of the reclocker and cable driver provides major benefits in power, board real estate and ease of design. The device operates using a single 2.5 V supply voltage and has extremely low power consumption with the reclocker and cable driver dissipating only 160 mW. It may be used in either hardware mode or controlled through a standard four-wire serial digital interface. It also features advanced diagnostic capabilities such as total jitter measurement on input, data rate detection, Loss of Signal (LOS), and Loss of Lock (LOL) detection. 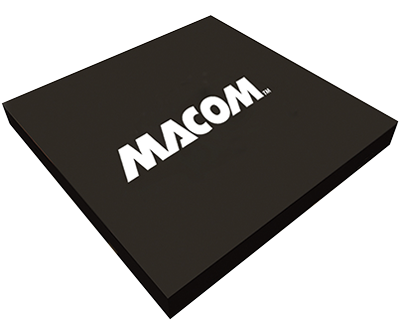 The M31285 is offered in a compact green and RoHS compliant 4 mm x 4 mm, 32-pin QFN package.